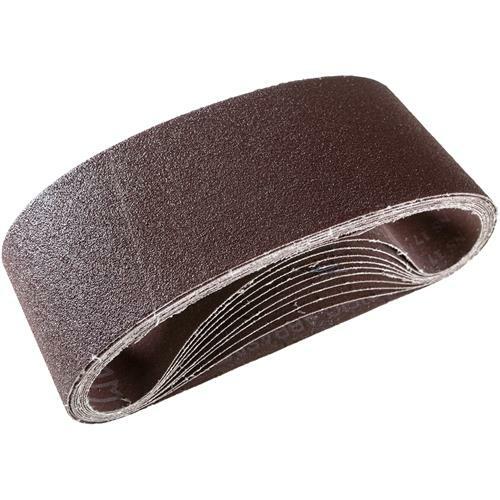 4" x 24" A/O Sanding Belt 60 Grit, 10 pk. Grizzly T21500 - 4" x 24" A/O Sanding Belt 60 Grit, 10 pk. These 60 grit sanding belts measures 4" x 24". Comes in a 10 pack. No seam bump while sanding and stays tracking at all time. Sand materials hold up well. This iss a good product.